When will India and Pakistan stop complaining to Uncle Sam? Imagine a similar dossier being submitted by India to the US officials, the whole nation would have been debating the nefarious role being played by Pakistan in the internal affairs of the country. 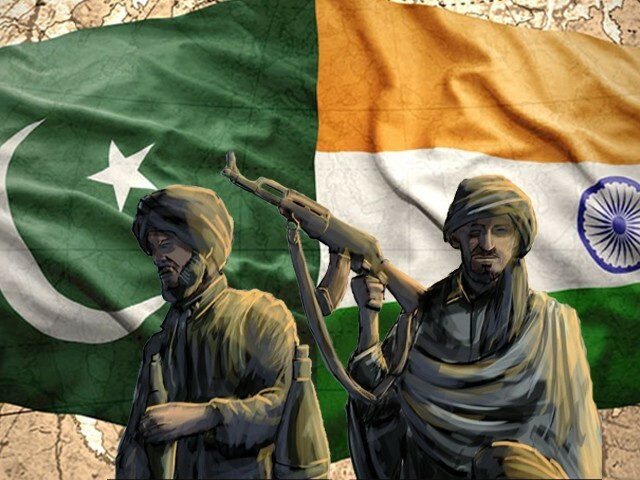 In India, we live and grow with the belief that the ISI and several non-state actors in Pakistan are responsible for terrorism in the country. That the trouble in Jammu and Kashmir is sponsored from across the border and people of the valley do not have their own grievances. That Islamic terrorism is spreading its wings in India, courtesy of our neighbour. That it is Islamabad which is responsible for the animosity between India and Pakistan and that the latter does not want to see peace in the region. Everything wrong on the security front is taken as a handiwork of Pakistan’s intelligence network. This predominant narrative forms the debate and goes unchallenged and unquestioned. We take it as a gospel of truth and anyone challenging the narrative is taken as an anti-national. But the media and people in India generally, keep away or remain oblivious or uninformed about the activities of our intelligence agencies. We live with the argument that India is a non-interfering nation and does not plant troubles or take interest in the internal turmoil of the neighbouring country. If there is a report that India interferes in Balochistan and supports the disgruntled elements there, the larger public look at it with pride, gloat over the fact, and remain smug. It is no wonder that when the news came that Pakistan has submitted a “dossier” to top US officials detailing evidence of involvement of Indian secret agencies in stoking and supporting militancy in the country’s troubled regions, it remained significantly unreported in the major sections of the media. Imagine a similar dossier being submitted by India to the US officials, the whole nation would have been debating the nefarious role being played by Pakistan in the internal affairs of the country. We grow imbibing this duplicity. Chauvinism is taken as a sign of patriotism. My point is that why can we not openly debate about India carrying out activities on foreign soil. It is interesting to know that the media is somehow open to discuss the role and design of New Delhi in neighbouring countries, like Nepal, but is silent when the issue concerns Pakistan. We all live with the belief that India is an ardent friend of Afghanistan and it is Pakistan which is the troublemaker in the Hindu Kush. It is also true to a great extent. But the people in large remain uninformed that India’s deepening presence in Kabul is also a cause of instability in the landlocked nation. Media chooses to remain silent on how India’s entrenchment in Afghanistan causes insecurity to Rawalpindi and Islamabad. There is hardly any informed debate about the need to improve ties between India and Pakistan in order to stabilise Afghanistan. There is no denying the fact that India’s big brotherly attitude has contributed to a great extent in the militarisation of Pakistan. Whatever might be the reason for New Delhi in supporting the creation of Bangladesh, Islamabad sees it as India’s blatant interference in the Islamic nation’s internal affairs. The dossier that Rawalpindi has presented to the US administration is the reflection of this mistrust; it shows how India’s unfriendly gesture poses an existential crisis for the country. It has to be taken in the context of the recent bickering between the two neighbours. The cancellation of secretary level talks and the subsequent escalation of skirmishes at the border have created a sense of unease in Pakistan, which has been looking forward to having productive relations with this Narendra Modi government. The dossier is also a statement on Modi’s Hindu right-wing regime, which is largely perceived to be anti-Muslim. The initial euphoria generated in the wake of Modi inviting Nawaz Sharif for his swearing-in ceremony in New Delhi has given way to heightened concerns about the design of the new regime. There is hardly an attempt by popular media and political establishment to address the mistrust between the two nations. India is liberating its economy but remains a prisoner of past prejudices. It’s not a question of how much truth there is in the dossier; the question is why, even after more than six decades, the two neighbours cannot handle their concerns bilaterally? Excellent article by the author. Hitting all the nails on the head. is taken over by sectarian, ethnic ideologues, Shiv Sena/RSS terrorists. And Pakistan is in the iron grip of sick mullahs gone very very bad. Please tell me did Pakistan sign SEATO and CENTO pact before or after 1971 which supposedly militarised Pakistan? Did Pakistan attack India in 1965 before or after the Bangladesh liberation war which contributed to militarisation of Pakistan according to you? Did Pakistan send tribals to Kashmir before or after the Banladesh liberation war that contributed to its militarisation? Did Ayub Khan annex power before or after 1971? Stop being an apologist. It is not Pakistan’s insecurity but its ideology that make it spend more on military because it wants to estalish parity with a country which has 6 times the population and 10 times the GDP. This blog is so much full of blatant lies and distortions, it is not worthy of any Indian rebuttals. These types of blogs published in Pakistani media do not undermine India. They are detrimental to only Pakistan since it feeds into the Pakistani propaganda/ claim they are not involved in sponsoring terrorism in India. I used to be equally naive once. I even used to argue that Kashmir should be given away to Pakistan (as if I owned it) so peace can come to the region. But slowly and steadily I realized that Pakistan’s designs are not about Kashmir. Pakistan’s designs are about subjugating the Hindus of India, although at a slow rate. First they want to take Kashmir and then slowly and steadily corrode the rest of the country using a lot of traitors within our own country. 75 years of history is the evidence of it. You must read the books by M. K. Dhar, the former second top spy of IB. He gives you the stories of Pakistan’s involvement in North East of India before Bangladesh was born. North East of India or Punjab are clearly not parts of Kashmir. Also read Hamadoor Rehman report, Pervez Musharraf’s auto biography, books by Christine Fair and others. Also read the 900 page state department report on 1971. I or the majority Indians may not be in agreement with the points raised by you here, but a counterpoint-thought process is essential and from that standpoint this article seems to be fine. However you lost it when you reverted to that old broken record on Modi being right-wing /anti-Muslim blah..blah.. conveniently omitting the fact that quite a reasonable no of Muslims voted for Modi. you sseem to be painfully unaware how the world works.. Every other country does this, Pakistan started anti-Indian activities first in Nepal and Bangladesh, before we went to Afghanistan. There’s a fine line between collecting intelligence and conducting terrorism and that differentiates India & Pakistan. a piece written exclusively for pakistani readers.pakistani leaders openly declared to bleed India for 1000 years.look who is bleeding? – kidnapping of Hindu girls & forcibly marrying them. If they publish against India, they openly allow Indians to retaliate in the worst of fashions. Again. Please don’t use any literary devices. Keep it straight and simple and simple sentences. Does the fact that my reply to your was not published tells you anything? Now, that’s real good sarcasm but you’re using it on someone who doesn’t even know how to spell properly. I never claimed to be, dear. You are the one coming up with these statements. Buddhists and all other minorities in Bharat..
Well Supriya, I think they are pretty fair in what they publish and what they do not, my comments have been edited and removed too but I still believe ET is one of the better places to comment. Pl add in the list where indian media under played or totally blackout the following events. Chuck Hagel’s revelation on indian involvement in terrorist activities in Pakistan. They deleted my comment. And it was not even India or Pakistan. It was about this author and his likes and his ignorant view on the issue of which he certainly has no length or depth in understanding. Still ET chose to not paste my comment. Yes anyone that does not sing your tune is biased or unfair but the extent by which your media lies on national TV and speaks of unsubstantiated facts, numbers with out any research takes the cake. It was the Christians of Kerala who first claimed Love Jihad. Christians of Kerala who were the first victims of Love Jihad. Very correct and well said. Indians must be proud that their PM is accused for mass killing of Muslims. Even if not booked to task yet or even acquitted by Indian ‘Courts’, who sentenced death to Afzal Guru with commenting that there is no evidence or proof but public sentiments demand that Afzal Guru must be hanged, as he is a Muslim. Similar public sentiments demanded current Indian PM to be acquitted. True. Many have ridiculous mind which can’t accept living with others. The best example are the Ahmadis who were at the forefront of creating Pakistan solely on the basis that they can’t live with Hindus. No need for pouncing on anything, but wud just like to say a few things. Accusing a man of mass murder and being able to prove it r two separate matters. If u r sure that modi is a mass murderer, surely u know something that an SIT does not. U r more than welcome to share it. there r plenty of modi haters in india who will more than willing to prosecute modi, based on the evidence u provide. This turd does not realize that only the Pakistani establishment has been claiming that a dossier has been given to the Americans. Let him or anybody else show even one shred of evidence that this news has been reported in Western press and that USA has acknowledged such a dossier. There is no dearth of freelance journalists. They too have to make a living. What better way than to make some conciliatory noises! habitually broke. Barely 1 percent of the population pays income tax. Why don’t them wannabe journalist of India make some effort and do some R & D before writing some pointless India bashing rhetoric. This is such a trivial non-sense ill-informed write up. At times I feel Pakistan has better journalist than the likes of this so called broadcast journalist. I like your responses here (on this thread), Even if the opposite person indulges in personal attacks-you don’t indulge in them.That is commendable. waise bhi, nobody thinks ill of the person who is attacked, the offender-that’s the guy who is seen in a bad light. People indulge in such behaviour when they have nothing substantial to say, such behaviour says a lot about a person and what he/she stands for. You will have to have a better source than an “x” army chief for this to find acceptance. Reporting a rumour or starting one does not get one anywhere. 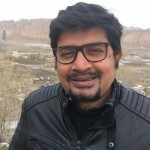 “India for some time has always used Afghanistan as a second front, and India has over the years financed problems for Pakistan on that side of the border”. He meant on the Afghan side of the border. He never stated that India is involved in the terrorist attacks in Pakistan. You Sir, have deduced this for yourself, out of context from the statement, to start a canard. 2. Chuck Hagel made the above statement in his capacity as the senator of Nebraska. The senators in US are prone to believe the lobbyists at his/her face value. He/She who lobbies last or loudest (with right funding) gets the ear of the senator. You have every right to your opinion on what Modi supposedly did or did not do. The fact is that it has not been proven that he ordered / or did not order the “mass killing of Muslims” as you choose to call it. He claims he did not and, up till now no Indian court has been able to prove otherwise, in spite of a decade long attempt by a hostile central Government and the leftist Media. What do you call the person who openly called for Direct Action (16th August – The day also marked the start of what is known as The Week of the Long Knives) which resulted in deaths – the number was in multiples of what you accuse Modi. You have gleaned the comments on Afzal Guru and his death sentence from canards. Not at all. I just don’t tolerate the bigotry of Muslims.